Once upon a time, creatine monohydrate was a breakthrough: strength training rocketed a couple of gears. Within a few years the second and third generations of creatine came on the market. Often these were creatine ethyl esters and these versions worked even better and faster. These old types of creatine already allowed you to workout extremely hard, but they are nothing compared to our 6th Gear Creatine Complex. This will make your workouts go straight to top gear! 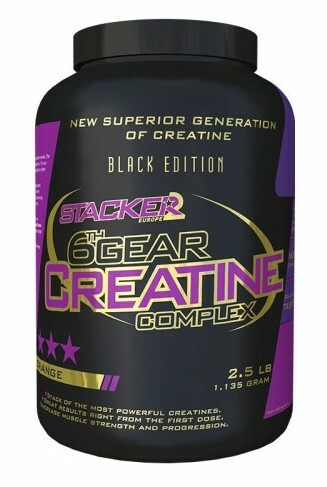 Once you use 6th Gear Creatine Complex you will never settle for anything less. This is the top of the creatine segment. This is training in sixth gear! Mix 2 scoops of 6th Gear Creatine with 200 ml of cold water and consume immediately. Use for 8 weeks to experience your maximum strength.